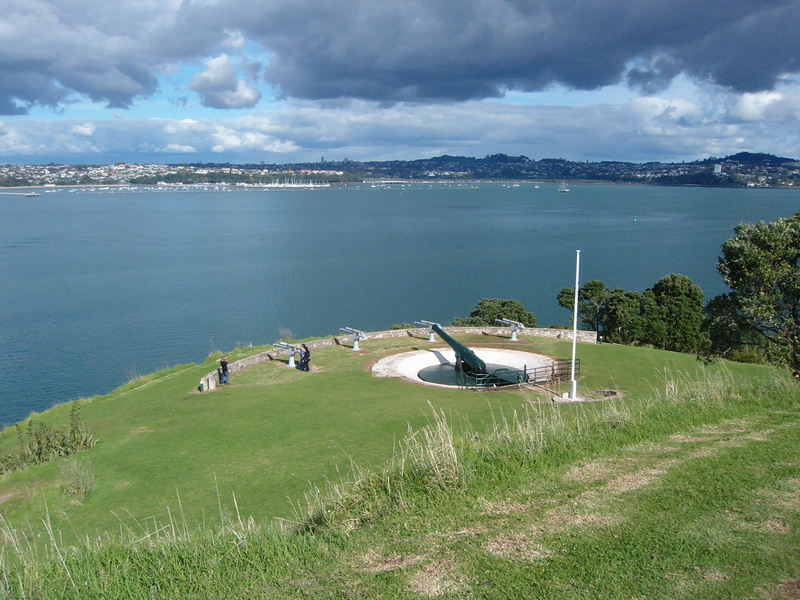 North Head, in Devonport on Auckland’s North Shore, stands like a sentinel at the mouth of the Waitemata Harbour. Like neighbouring Mount Victoria, and the long since quarried away Mount Cambria which stood between them, North Head is an extinct volcano. 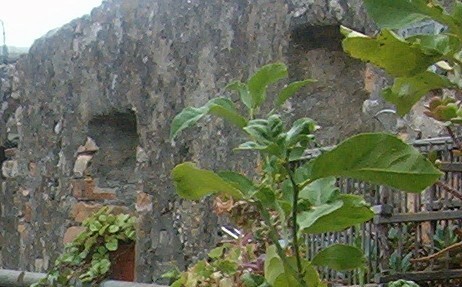 The Maori who settled in the area named it Maungauika and built a fortified pa on it. 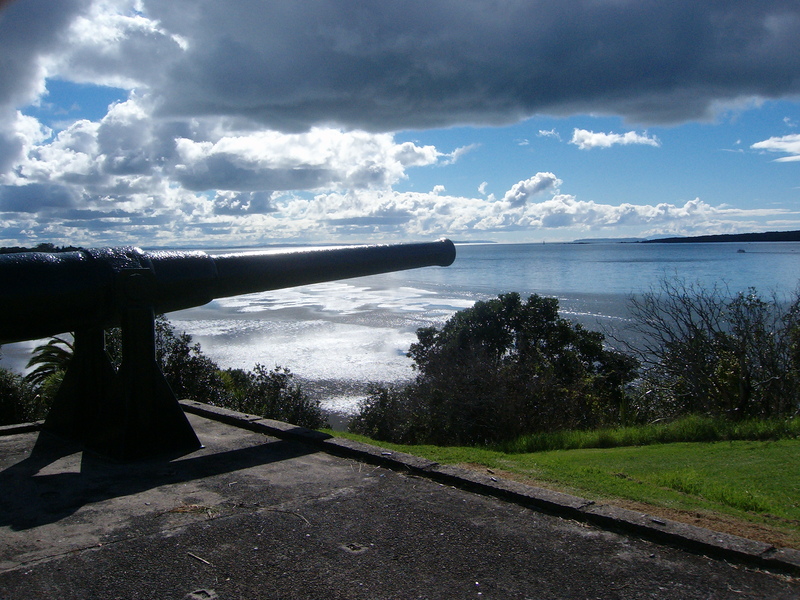 Looking at North Head today, its strategic importance is still easy to appreciate. 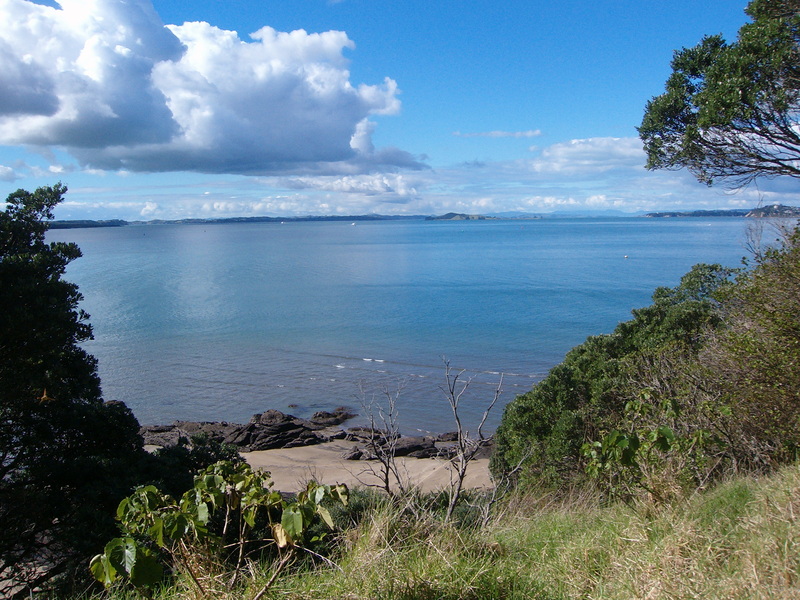 The view on the left was taken from the summit of Mount Victoria, looking over the summit of North Head and down the Hauraki Gulf: Auckland on the right, Waiheke Island on the left and Coromandel Peninsula in the distance. 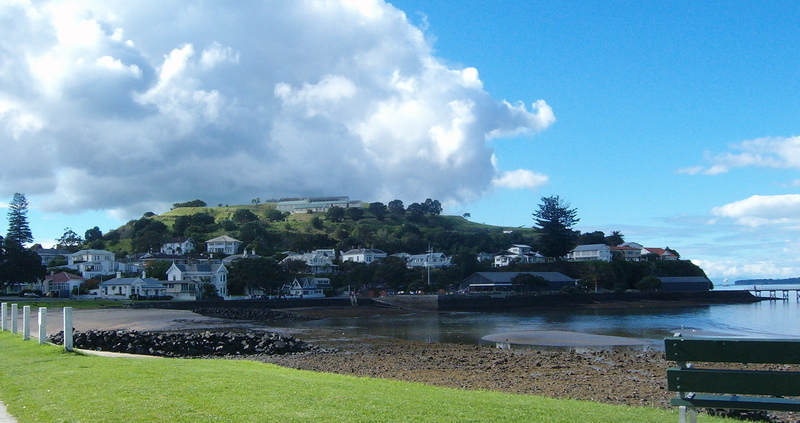 On the right, North Head from the waterfront in Devonport. 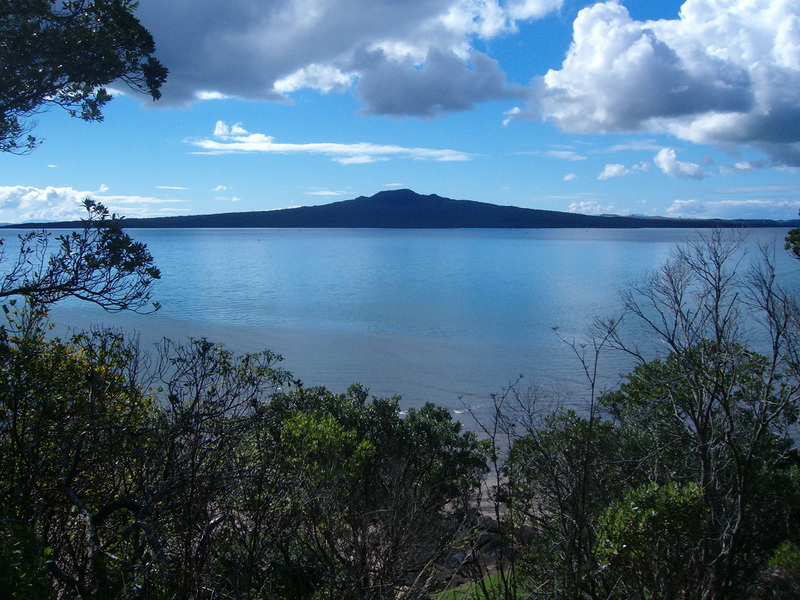 It commands an unbroken view not only of the harbour, but also of a wide sweep of the Hauraki Gulf, stretching northwest and southeast and bounded all across the horizon by a string of islands. 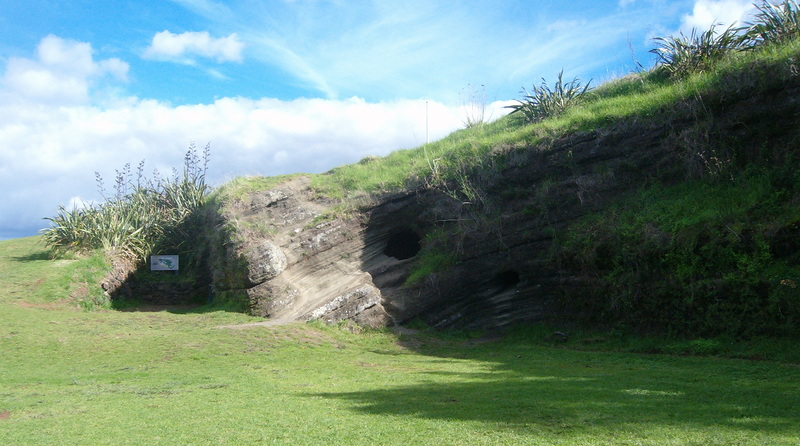 What is totally hidden from the foot of this grassy, rounded hillock is that it is riddled with tunnels. 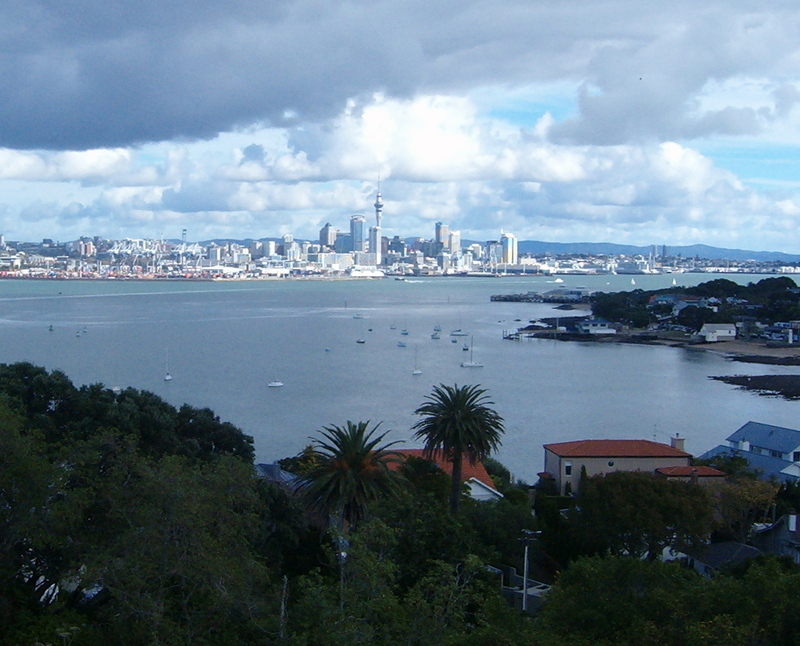 They date from the 1880s: in fact no sooner had the British settled in Auckland than they had to defend the young colony from the threat of a Russian invasion. Tunnel entrances and one of the better-lit tunnels. Not all the tunnels are well lit and a torch is handy. 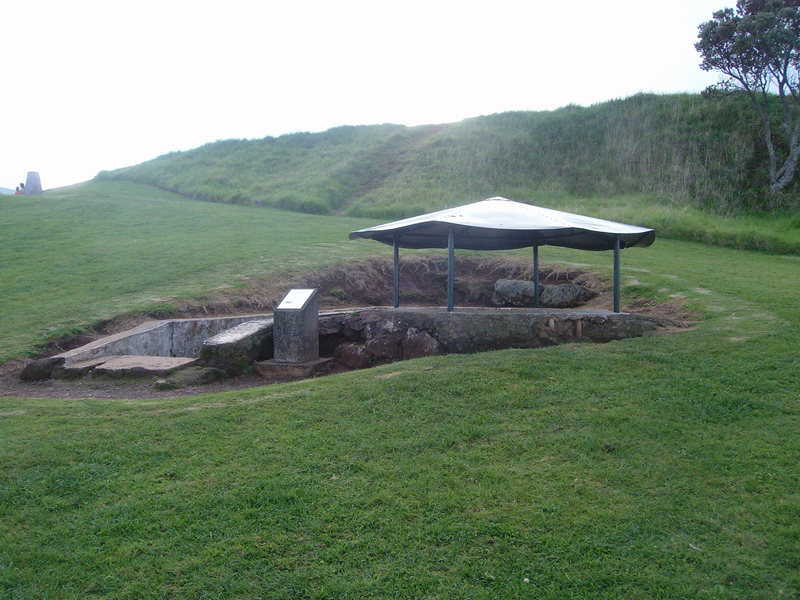 One of the features of the defence structures on North Head were the ‘disappearing guns’. 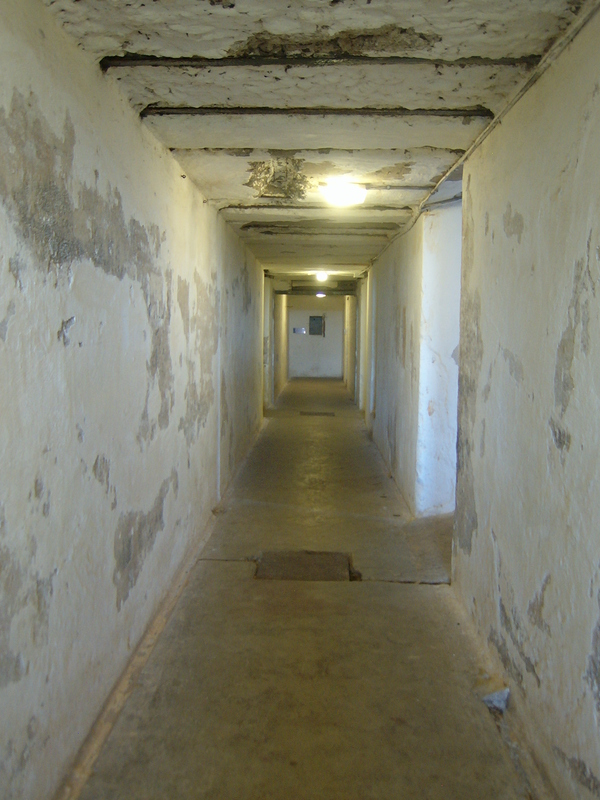 When they were fired the recoil was such that they ‘disappeared’ down into a pit and were concealed from the enemy. Actually, the enemy was also concealed from the men operating these 8-inch guns: look-outs sheltering under a little metal umbrella higher up the hillside sent instructions to the gun crew through a talking tube. 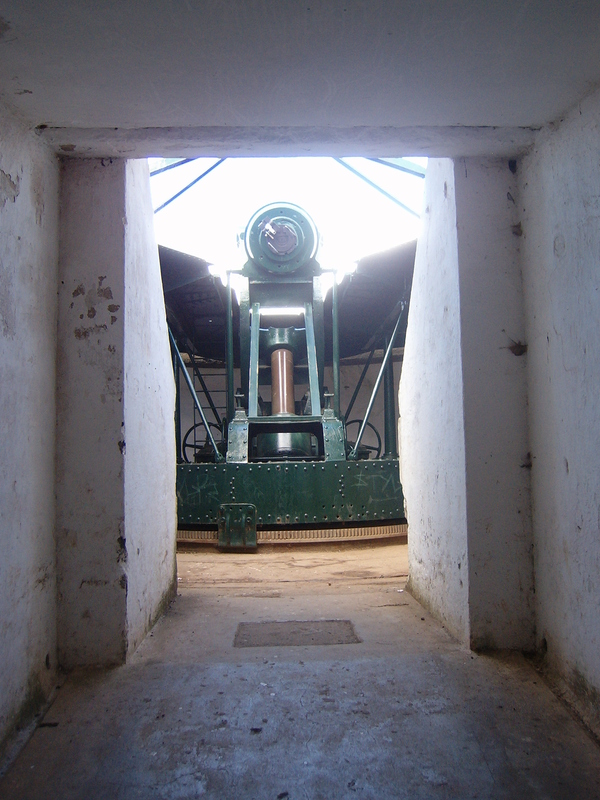 The ‘disappearing gun’ seen from inside its cavity, the ‘control tower’ further up the hill (below left), and (below right) the gun emplacement from above. 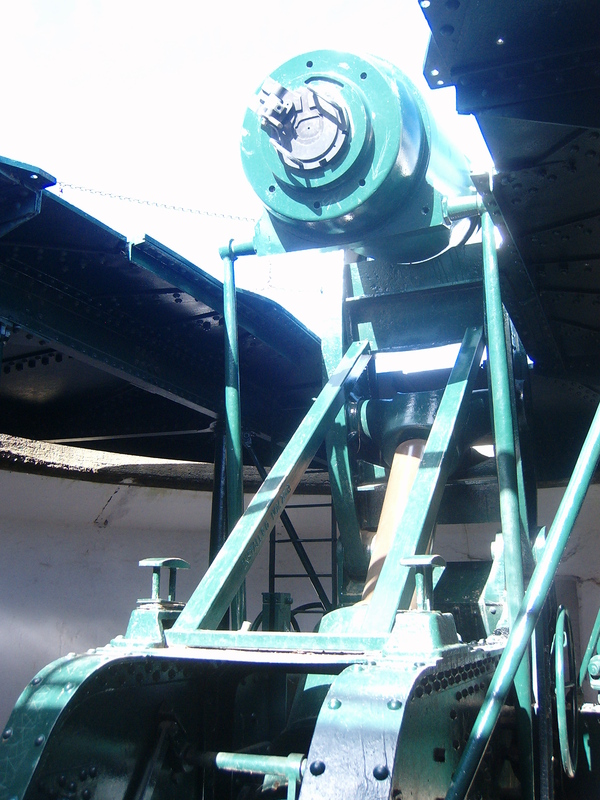 the gun could swivel around to face up and down the Harbour. 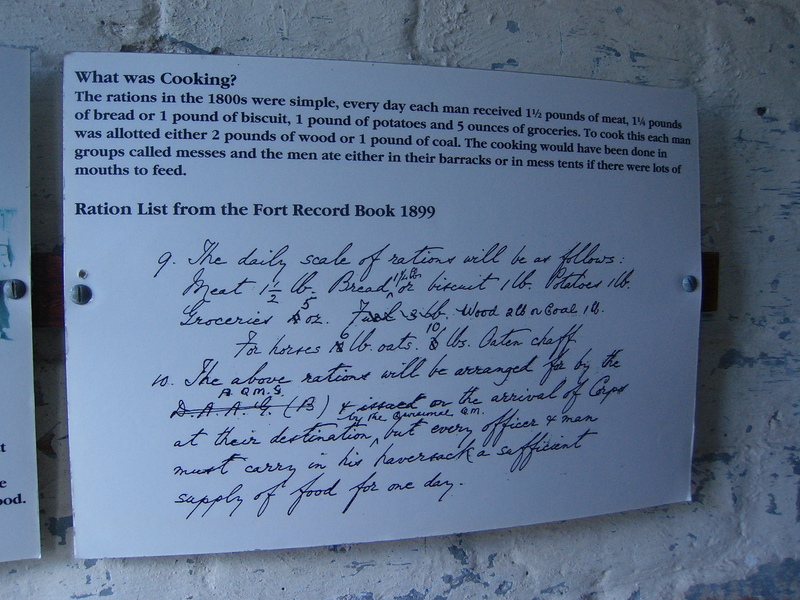 As it turned out, the Russians never approached Auckland, but the garrison was kept in place and was brought back into service during the first and second World Wars. Although the threat of a Japanese attack towards the end of WWII was a real possibility, this didn’t eventuate. 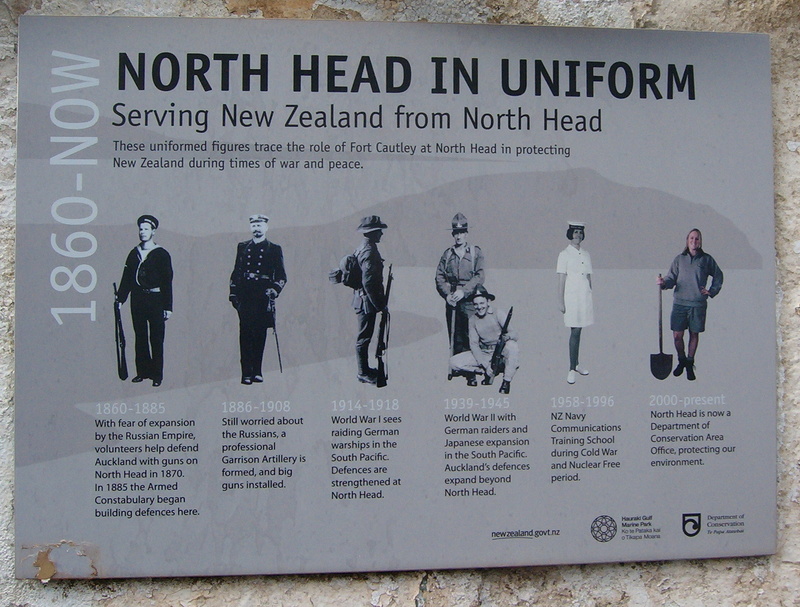 In 1972 North Head was handed over the Conservation Department. Despite its military origins it is a delightful place to visit. 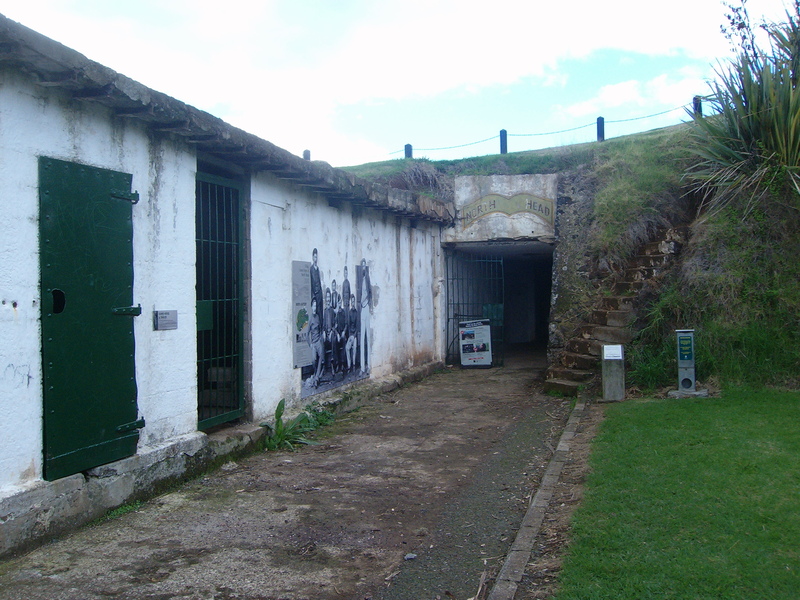 Three well signposted paths take in the main features – the coastal walk encircles the hill at sea level, while the tunnels and summit walks intertwine for exploration of the garrison and gun emplacements. On the summit a video in the Stone Kitchen Theatre recounts Maungauika-North Head’s history from pre-European times and includes dramatic reconstructions of the volcanic eruption of Rangitoto Island and of the ‘disappearing guns’ in action. 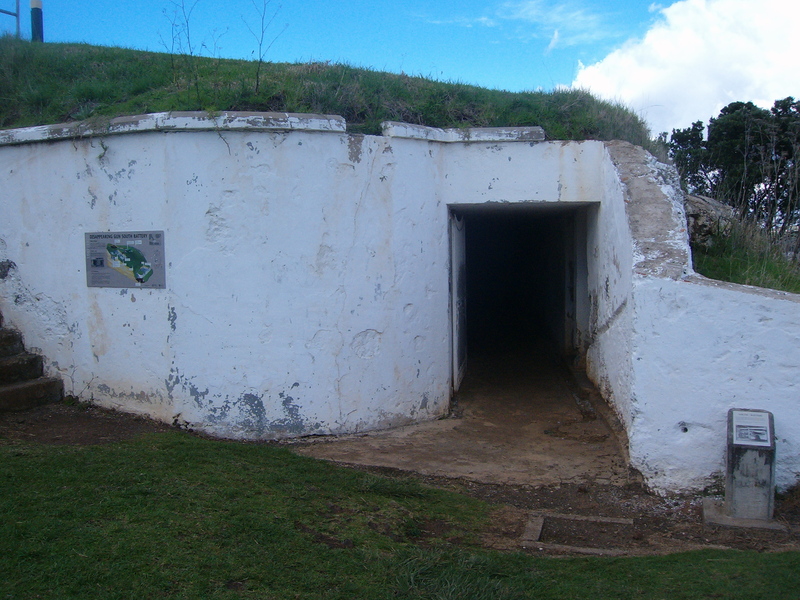 This entry was posted in Auckland, New Zealand and tagged Auckland, Devonport, Hauraki, Rangitoto, Russians, tunnels, War on May 14, 2014 by ventimigliaaltawords.